You can’t go wrong with breakfast inspired by a candy bar. This oatmeal bake has all the flavors of an Almond Joy – almonds, coconut, and dark chocolate. Preheat oven to 350 degrees Fahrenheit. Prepare a cookie sheet and a 9 x 13 inch casserole dish with baking spray. Spread coconut in a thin, even layer on prepared cookie sheet. 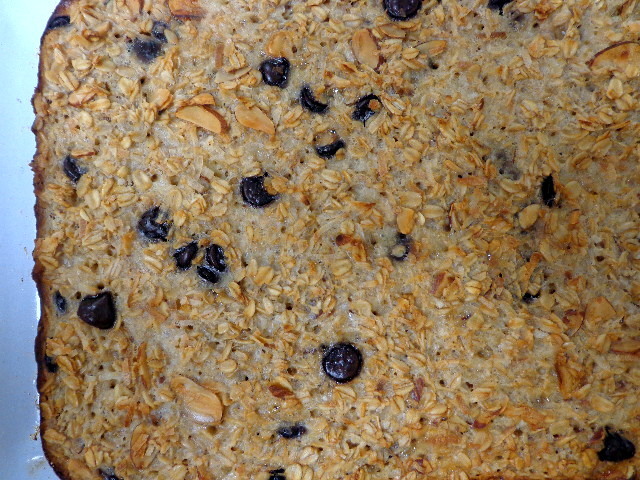 Toast, baking 7 – 12 minutes, stirring occasionally, until the edges have started to brown. Set aside until cool enough to handle. 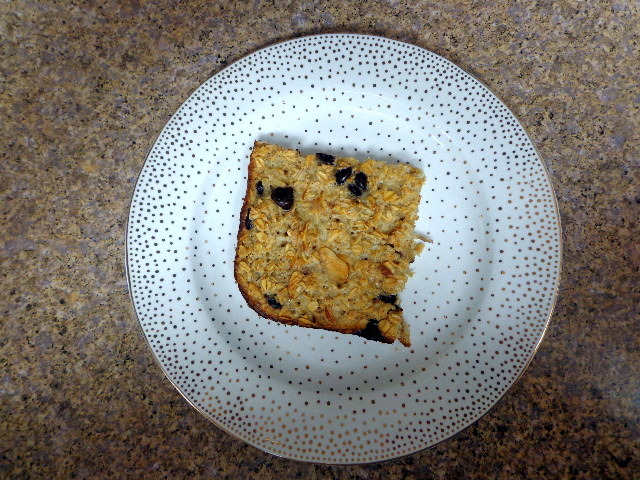 In a large bowl, stir together oats, almonds, chocolate chips, toasted coconut, salt, and baking powder. In a separate bowl, whisk together milk, coconut milk, and eggs. Combine wet and dry ingredients. Let soak 5 minutes before pouring into prepared casserole dish. Bake for 45 – 50 minutes, until firm and dry and golden brown.